Welcome back to our International Travel Security series. In Part 1 of our 5-part series, we introduced you to the basics of Travel Security; why it is important, the concept of Duty of Care, and the role that the security practitioner should play in the preparation, planning and response of a Travel Security program. In this installment, we are going to discuss the issues surrounding the preparations that a practitioner should undertake prior to travel. Although contingency planning is an important part of pre-trip preparations, it is so involved that we have chosen to hold off on reviewing that aspect until later on in the series. But we do want to focus on the nuances of Travel Intelligence, Trip Planning, and Medical/Insurance issues. So whattya say we dive right in? 1) Contingencies and unexpected occurrences are much easier to deal with. 2) Travelers are able to concentrate on the tasks at hand (increasing efficiency). 3) Confidence and the overall sense of safety increases (thus impacting morale and performance). Given all of this, Pre-Travel policies and procedures may be the most important phase of international travel. So what is involved in pre-travel preparation? In this installment, we will discuss the actions taken by both the practitioner and support staff prior to travel. The foundation of which is the ubiquitous, but often misunderstood term of Travel Intelligence. What we like most about this definition is that there is a concisely-defined purpose to collecting data. In many organizations, there are pre-travel briefs and travel sites on the company portal that employees are supposed to peruse prior to embarking on their next business trip. These usually consist of a list of facts and data points that are ineffective, and (more often than not) ignored. Many companies rely on third-party “heat maps” or “threat maps” to assist in rating their travel intelligence threat level. While these graphics are great for a “once over the world” view of hot spots in relation to each other, there are some inherent dangers in placing all of your trust in a risk map. First, you have very little control on how current the information is. Second, there is little in the way of quality control on the analysis of the information. Third, ratings are subjective as they relate to the same information and analysis of other countries by the person/company creating the product. Last, the information and analysis may – or more to the point – may not pertain to your specific client. True Travel Intelligence is not simply a regurgitation of facts. It is the analysis of pertinent facts that serve as an enabling function for both decision makers and the traveler. This is a much more complex process than “cutting and pasting” from the internet. Yes, it starts with thorough research on Open Source Intelligence (OSINT), but effective travel intelligence sifts through all the facts to produce a product that is customized to the reader with a goal of facilitating his/her specific needs. True Travel Intelligence is not simply a regurgitation of facts. It is the analysis of pertinent facts that serve as an enabling function for both decision makers and the traveler. Travel intelligence could be a blog (or series of blogs) in and of itself. In fact, it could be a stand-alone course on its own. In fact, it is. Rather than reinvent the wheel (much more ineffectively), we would prefer to just point you to the subject matter expert on Travel Intelligence. Travis Lishok from EP Nexus has written a world-class blog series on Travel Intelligence/Protective Intelligence. This series should be mandatory reading for any practitioner involved with intelligence analysis of any kind, but specifically Travel Intelligence. While you’re there, take the time to download his Travel Intelligence Hacks guidebook and reading/reference list. They are invaluable! If you want to learn more on the subject, we encourage you to take EP Nexus’ two-day Travel Intelligence Hacks Masterclass. It’s mandatory training for us here at 7Spears. In two days, we learned how to effectively and efficiently conduct our OSINT, analyze pertinent data, and write an effective synopsis of pertinent information to our clients in a timely manner. It was worth its weight in gold and taught by the subject matter expert, Travis himself! We still refer to our classroom materials when performing Travel Intelligence for our own customers. Once we have a good idea of the operational environment, it is important that we begin to conduct the necessary planning to prepare our travel. Here at 7Spears, this usually equates to a wall full of sticky-notes and to-do lists scattered around the office. 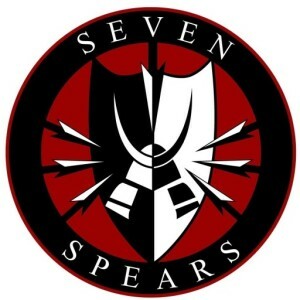 Not being above a shameless plug or two, we’d like to add here that 7Spears puts out a great (if we do say so ourselves!) Pre-Travel Checklist that is available for FREE. Just send us an email at info@7SpearsSecurity.com, or click on the “Contact Us” link at the top of this page. Mention the Pre-Travel Checklist in the subject line, and we’ll get one sent out to you A.S.A.P.! Pre-Trip Planning can be broken down into six main categories: Country Overview, Entry & Exit Requirements, Communications, Safety & Security, Medical & Health, and Other Considerations. Let’s look at each one of these a little more in-depth. Details of the country you will be visiting and get to know as much as you can about your destination, from the security situation to the local customs & culture. Religious holidays or anniversaries of previous attacks/security incidents. National or local holidays and/or events that may impact your travel. Specific locations of travel at your destination: how do you get from airport to hotel? How long will it take? Etc. What language do the locals speak, and will you be able to have a conversation with them? (NOTE: It is useful to memorize at least a few words: Hello, Goodbye, Please, Thank You, Help, etc.). Local currency: can you get money in/out safely? Will you use cash or credit cards? Ensure you have your home country Embassy or Consulate address and phone numbers. 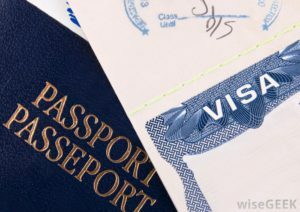 Visa requirements and sponsorship: ensure that you travel on the right visa (tourist or business) for your trip’s purpose. Is your passport current at the time of travel? Does it expire w/i the next 6 months? Do you have a digital backup copy? Paper copy? Knowledge of all your onward travel details. Where are you staying? Where is the venue? Etc. Medical requirements to enter the country: Shots/immunizations? What kind of proof? 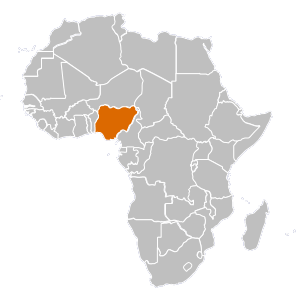 Pay particular attention to Yellow Fever certification. Knowledge of prohibited items/medication? (Some countries prohibit certain medication, anything with a GPS, anything communications related, etc). Do you intend to drive? Do you have your IDL/IDP? What other licensure requirements exist? Mobile/cell: Coverage, tariffs and setting up your phone to work on a local provider (contact your home provider for more info). Landline: Coverage and dialing codes. Important contact numbers: What is(are) the number(s) to call the emergency services at your destination? Satellite Phone: Cost, coverage, is it permissible? Make sure someone back home or at work knows your itinerary, any changes, and how often you will check in with them. Keep a hard copy list of important phone numbers with the dialing code required to call from your destination (embassy, home, office, hotel, emergency POCs, etc.). Crime: High crime areas, common scams, etc. Travel and health insurance, including medical repatriation. In-country medical facilities, including facilities that address your specific medical needs. NOTE: Your destination embassy website will have a list of facilities that meet a “standard level of care” (take that phrase with a grain of salt!). 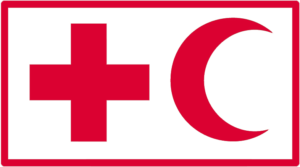 Pack a first aid kit – and know how to use it! Look at taking a class in basic first aid and CPR. Pack all required medications and prescriptions. If you wear contacts, bring a back-up set of eyeglasses. Maps and travel guides. If you intend to use apps for getting around, ensure they work offline, or that you have the right international data allowance. 1) It was mentioned in the Communications section, but it is worth repeating here. Make sure you have a POC back home – a “non-travel buddy”. This person should have your itinerary, and your contact information (both cell, hotel, venue, etc.). You should establish a “check-in” window and procedures you want them to take, should you miss a “check-in” time. You should communicate any changes to the itinerary with this person. 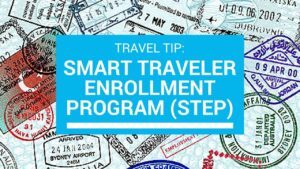 2) You should register your travel with the US Department of State, using their Smart Traveler Enrollment Program (STEP). Doing this allows the traveler to receive travel alerts and warnings, as well as notifying the US Embassy of an American citizen in their country. This becomes critically important in the case of a natural disaster, major terrorist incident, civil unrest, or a Non-Combatant Evacuation Order (NEO); basically anytime that the Embassy needs to account for, and send messages to, US Citizens in their area of operations. In the Pre-Travel phase of an upcoming trip, one portion that I concentrate on is establishing our “easy to grab” white papers. I create 1x Word document and 1x Excel spreadsheet. After I give the Word document a title, I go to work finding and printing out all emails, plane tickets, car reservations, confirmation numbers, driver/chauffer/delivery documentation, maps, time differences, etc. I place all of these print outs into a Travel Folder that the traveler will be taking with him (and I keep copies of all for myself). I then start entering all information onto one Word document. I put all contact names, addresses, phone numbers, confirmation numbers, reservation numbers, etc on the very top of the page for ease of location. Then, for the rest of the document, I create a written schedule. Many times we live by the calendars on our smart phones. Sometimes that isn’t an option when traveling and when something can go wrong, I want my traveler to still know what needs to be done, and when. I start the schedule with the date of departure and go from there. The last date on this Word document will be the date of arrival back home. This schedule includes everything that will be done (based on the information we have at the time) and is updated up until the very date of departure. The Excel spreadsheet lists all funds broken down into every single expense. This way, the traveler has access to a quick reference white paper with the prices that were quoted, in order to make sure and keep themselves, and their vendor/supplier on task. This spreadsheet includes per diem as well. We all know why this is a good idea…lol. After these administrative tasks are complete. I then start to look up the travel information mentioned previously in this post…and brief this info to my traveler in case he may have any questions or issues that we need to discuss. If there is comms equipment that the traveler will be taking with him, we’ll make sure everything is charged and tested (this includes computers, iPads, headphones, emergency beacons, international wi-fi pucks, etc). Next, we will go through the Emergency Action Plan together to make sure we both understand expectations for communications and contingencies during the trip. Finally, while its still fresh in my head, I’ll create a comms log for the trip. This log will detail everytime that I have had any type of communication with my traveler; whether its a text, call, beacon check in, email, etc. This is useful – especially on long trips – to ensure we adhere to our comms windows and no-comms procedures. The log will detail date/time of the event, method of communication, a synopsis of the contact, and a location (if known or sent). In this category, there are two insurances that need to be discussed. 1) As security practitioners, we need to ensure that we have the necessary liability insurance that covers us for work done in an international (non-CONUS) environment. Additionally, we need to be aware of the issues of performing security or “guard functions” in a foreign country and the myriad of licensing/certification requirements that may come into play for a given locale. Keep in mind that work that seems “routine” to us (such as advances, research, counter surveillance, etc.) may look like espionage to a host country. Do your homework. In some (many) areas, it may make more sense to travel as a “consultant” and partner with a local security company who is a known entity to the host government and who has already jumped through the registration and licensing hoops. 2) There are many options on the market for travel medical and evacuation insurance. We’re not salesmen of any specific company or brand. But we can say that we have been burned by not doing enough homework before we bought a policy. And that is the point. Prior to committing to any particular company, speak with your peers in the industry. Who do they use for their medical and evacuation insurance? Do they like it? Have they ever used it? Call the company and speak with a sales rep. Ask them to walk you through a typical medical evacuation scenario that would directly apply to your operations and area of travel. Over and above the cost of the policy, what additional costs are incurred if you actually have to use them? Do they have a global presence? Are there some countries that they do not service? Do they use third-party service providers (likely)? Do they have doctors on call 24/7 to handle non-life-threatening sicknesses or injury inquiries? Will they come to you or do you have to make your way to the closest “authorized evacuation hub”? Do they provide in-extremis evacuation services? What is the “flash-to-bang” time for support? How do they handle the recovery of remains? There are many questions that must be considered. Ask if they are willing to share the contact information of a customer who actually used the service. Read reviews/testimonials. Ask the questions, see through the “sales pitch” and make an informed decision. Remember that on this issue, bigger/more popular may not always be better. 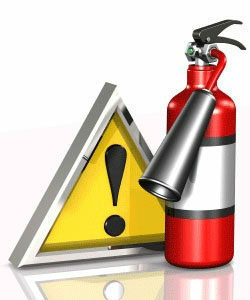 http://www.epnexus.com – In our opinion, mandatory reading for any security practitioner. A plethora of GREAT, common sense advice on a myriad of security topics. Mandatory reading for all 7Spears employees. We recommend you sign up for his blog updates and, if you really want to dig into travel intelligence issues, take his Travel Intelligence Hacks Masterclass. Check out his Travel Intelligence Hacks pdf that has a great list of resources as well. state.gov – One of the first places you should go to see USG-sponsored news, events, travel, alerts, locations and contact information for the US Embassy in the country you are traveling to. The US Department of State website also has helpful general travel tips for citizens traveling abroad. Specific embassy pages have tips more pertinent to your specific destination. https://step.state.gov/STEP/Pages/Common/Citizenship.aspx – Where you go to register your company with the STEP program as well as log your specific trip to a given locale. fundforpeace.org/fsi – The Fragile States Index from The Fund for Peace gives one of the best risk maps that we have been able to find. Not only concerned about security and medical issues, this risk map takes into account geopolitical, economic, natural and crime indexes. As always, use caution when considering any risk map for the reasons outlined above. travelinsurancereview.net – A good primer on how to choose the appropriate insurance for your needs. There is a TON of useful information on this site and in their blogs. Whether or not you decide to buy insurance through their site is up to you and you should do your homework first. smartertravel.com – A great website for basic information catered to everyone, from the novice-to-experienced traveler. Here you will find great tips/tricks/advice on everything from luggage, to unplanned airport layovers, to some very thorough (albeit basic) pre-travel checklists. “Life is a journey – Let’s travel it safely! First, thank you for taking the time to write on the topic and provide all of this information. The pre -travel installment was very thorough and hit on important factors that may sometimes be overlooked by a traveler such as the specific entry/exit procedures and the myriad of comms issues that can arise. The dual perspective was also beneficial in allowing the reader to see both sides of the coin to ensure all angles are covered. Thanks again for this well thought out series and I look forward to reading more of the content on this blog. Thanks for your readership Jeremiah! We love getting the feedback! If you liked Installment #2, we think you’ll really like the rest of the series!